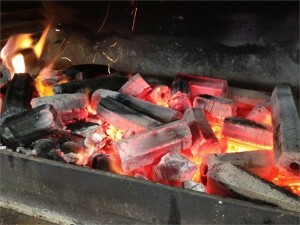 The sun always shines in The Castle Inn kitchens and every day is a BBQ summer day. We’re well ahead of National BBQ week with our revolutionary Josper oven (it’s a super clever infrared gas grills and indoor barbecue) which is in constant demand as the word spreads about this amazing type of cooking. It’s sizzling, it’s the hottest thing in cuisine and it’s the only Josper oven in Wales and we’re in good company as top London chefs including Jamie Oliver and Heston Blumenthal are now singing its praises. So don’t miss out on this amazing eating experience, come on into the sunshine at The Castle Inn, Llandovery. and more from all of our hotels and restaurants.